Submitted by Amanda Ruland on 7 April 2019. 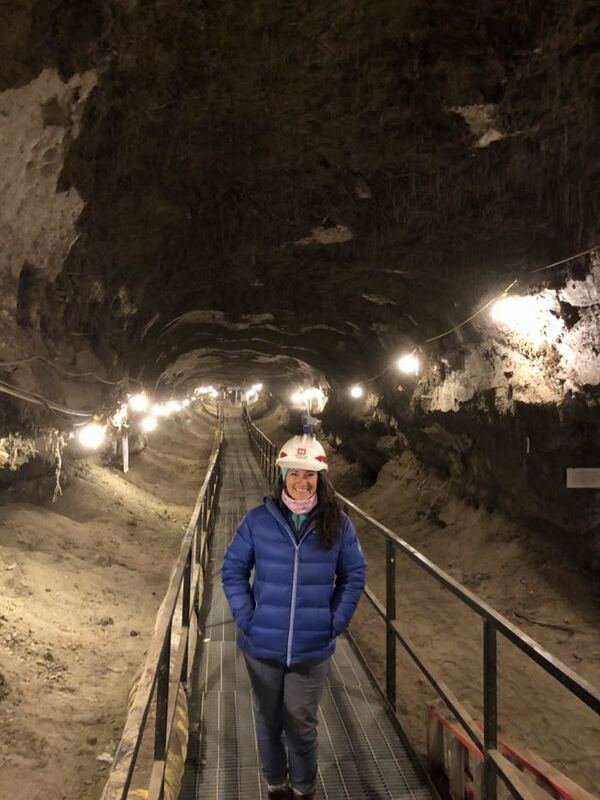 Educator Amanda Ruland stands at the entrance way of Fairbanks Permafrost Tunnel. So, what is permafrost? Simply put, permafrost is frozen ground. It can be with or without ice, but to be considered permafrost, the ground must remain at freezing temperatures (32F or 0C) for two or more years. A uniquely formed area results in extensive coring for further analysis. The walls are layered with ice and loess. 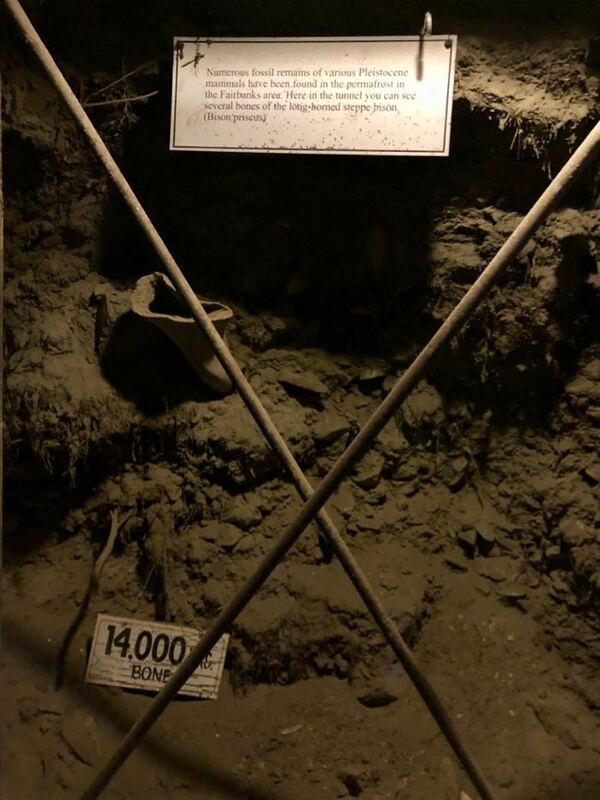 The permafrost deposit just outside of Fairbanks, Alaska was first discovered during the Gold Rush. Pioneers seeking riches stumbled upon a treasure trove of scientific and historical data that surpassed all expectation. They found gold, but amongst the gold...fossils! Fossils, fossils and more fossils! They found so many fossils, the bulk of primitive mammalian fossils at the Museum of Natural History in New York City come from Fairbanks, and they still have crates of fossils from decades ago that have never been unpacked! These fossils came from the Pleistocene Era, the last Ice Age. 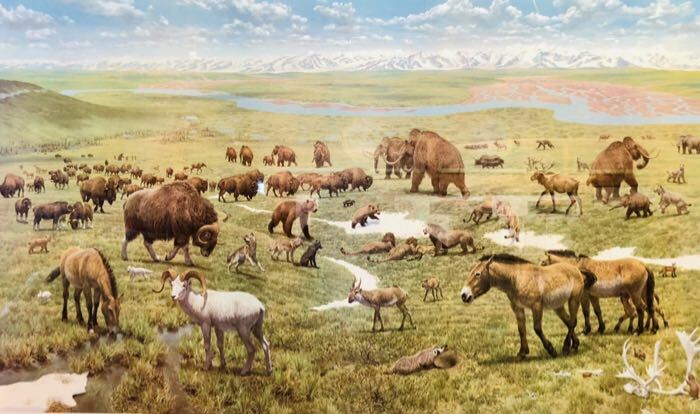 That means many of the fossils are woolly mammoth, horse, bison and small rodents. 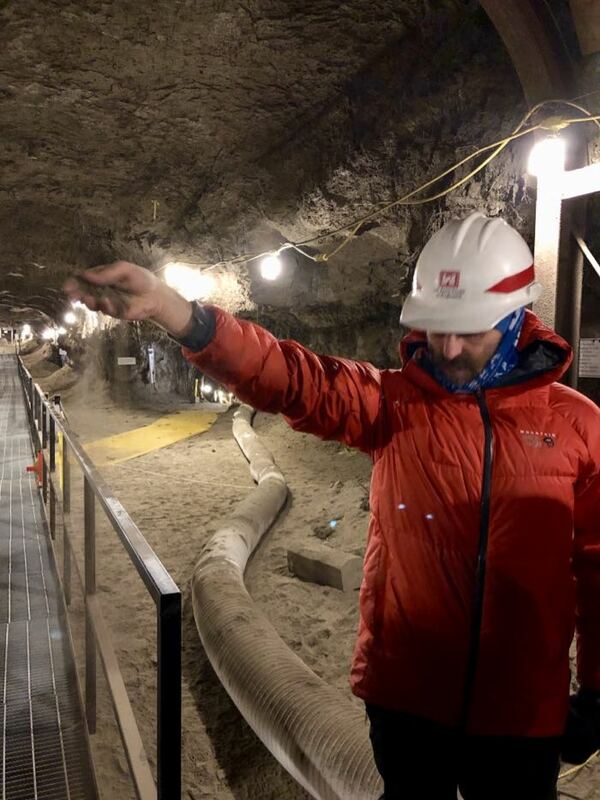 Many observable samples in this tunnel span from 11,000 to 32,000 years ago. A representation of Fairbanks, Alaska during the last Ice Age. Woolly mammoth fossil from the Pleistocene Era. Fossils from the Ice Age jut out of the walls and ceilings in every direction. In this tunnel the roots hanging from the ceiling are not from plants above, but plants trapped by sediment, water and ice thousands of years ago. 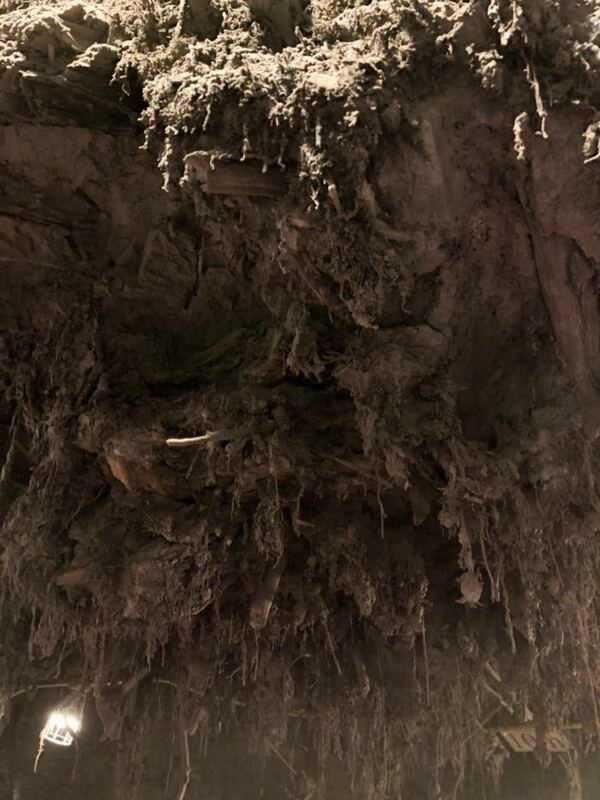 Roots from the Pleistocene Era hang from the ceilings and walls. It feels dry. The ice is going through sublimation. It is turning directly from a solid to a gas. 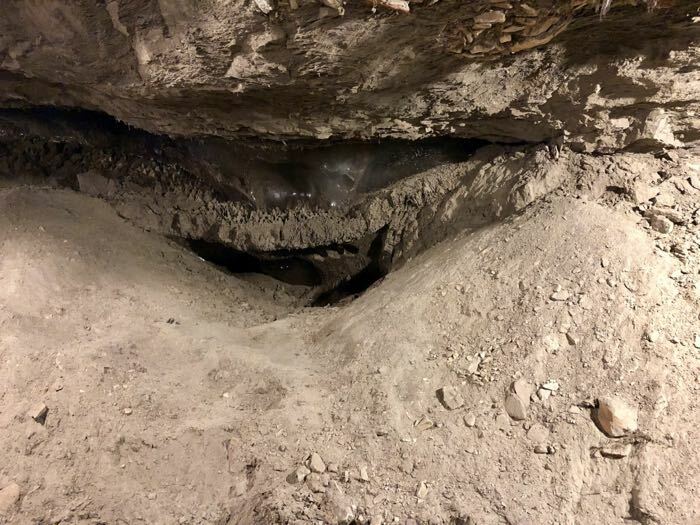 As it does, loess, or ancient silt, falls to the ground and fossils fall from the ceiling and walls. 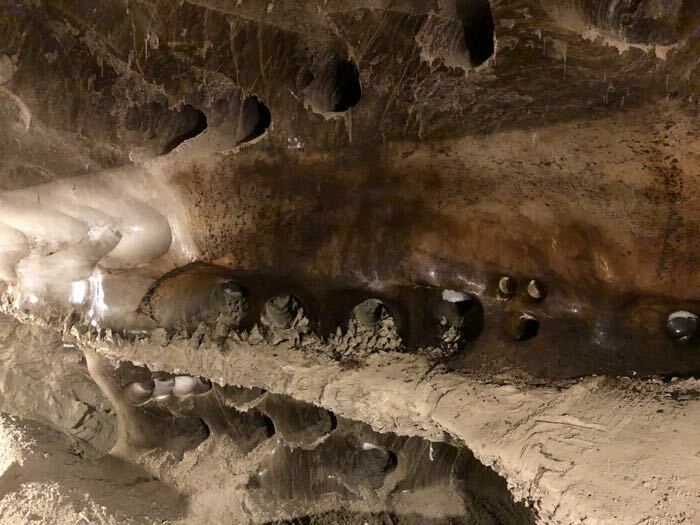 The organic matter frozen in time interacts with oxygen for the first time in thousands of years, making the tunnel smell musty. You are essentially inhaling soil, plants and animals from the last Ice Age. Congratulations you are now part wooly mammoth. Not really...but that might make a good comic book series. 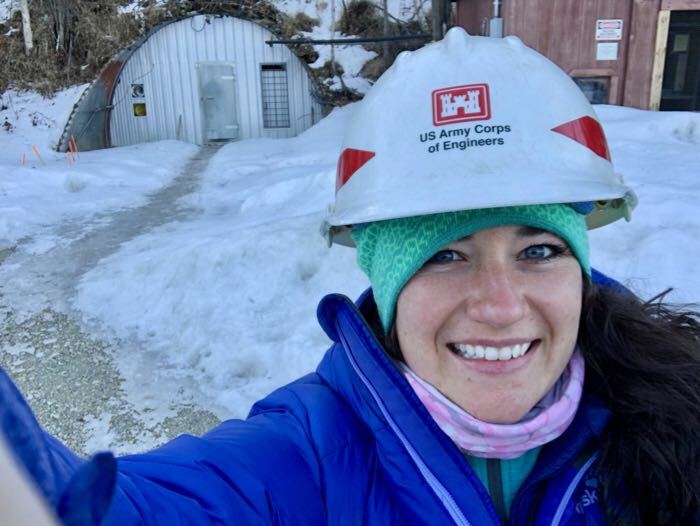 Amanda Ruland stands in the Fairbanks Permafrost Tunnel. Scientist Pat Druckenmiller demonstrates how dry the loess has become through sublimation. 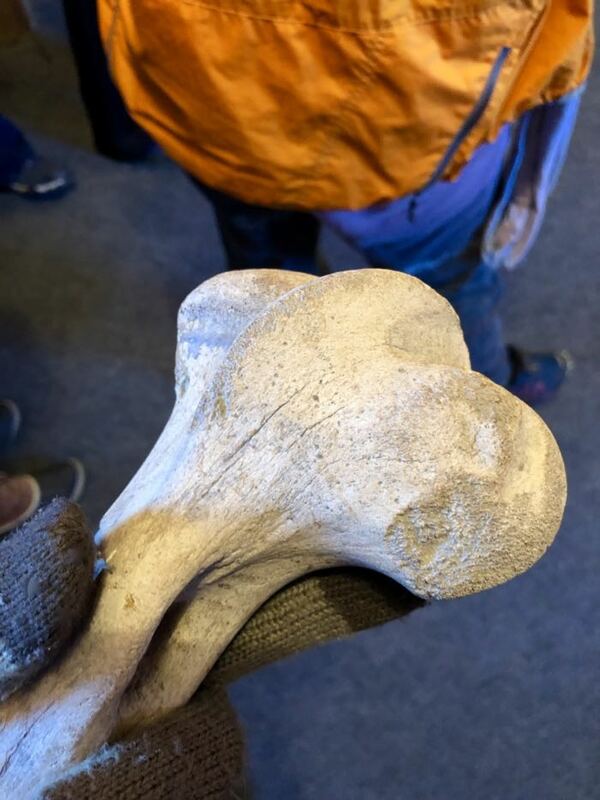 Permafrost preserves specimens beyond scientists dreams. Leaves of extinct plants have been pulled out of the ice still green. Seeds have contained enough intact DNA to be brought back to life. Woolly mammoths look like they laid down for a midday rest. Scientists estimate that permafrost contains more greenhouse gases stored inside than all the worlds remaining coal, oil and natural gas combined. Permafrost is a fairly clear window into the last Ice Age. Unfortunately, as permafrost melts, and organic matter becomes exposed to the elements above, precious windows become foggier and foggier and often lost forever.